The coin belongs to a series comprising coins with coat of arms. From the same series are the silver coins with the coat of arms of the cities of Tighina, Tiraspol, Grigoriopol and Rîbniţa, the last three placed on the left bank of Nistru River. 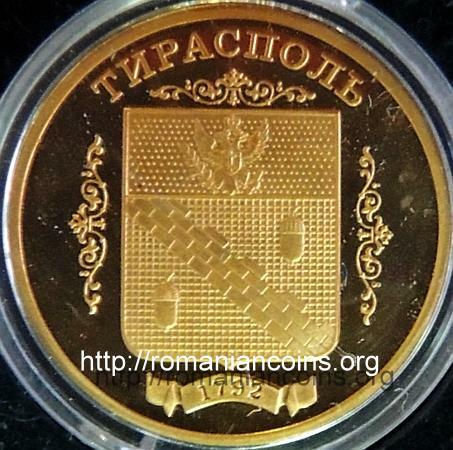 But for Grigoriopol, there are also gold variants of the silver coins. 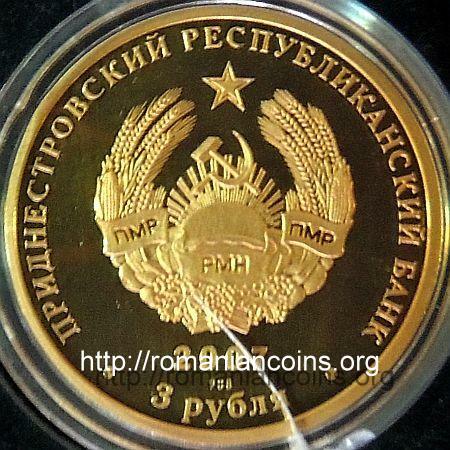 On Romanian coins site the 3 rubles coins struck in gold with the coat of arms of Tighina and Rîbniţa are also presented.